Ultra-Modern Trans Delhi Signature (TDS) City has been planned as a smart self sustained City. Located in the much vaunted Ghaziabad (NCR), latest international standard development strategies will make it energy efficient by using renewable sources of energy and recycling of waste products. About 1700 acres of land has been developed so far. The driving force of economic and commercial growth, coupled with aesthetic values will mark TDS city as a milestone for development. Water and solid waste management through STP and CETP. Concealed under Ground Utilities Network. Regional Transport through multi-modal transit hub at Anand Vihar and Kashmere Gate. Broad concrete four lane entrance road marks the entry to the industrial area. Risk Mitigation from Natural Calamities. Situated at a distance of approx. 45 kms. from Delhi International Airport. Well planned sectors for industrial, residential, group housing, institutional and commercial plots with aesthetically developed green zones as per the master plan. Land earmarked for various public utilities like – hospital, fire station, petrol pumps, club house, community centre etc. Uninterrupted 24 hours power supply through UPPCL and Captive Power Plant (CPP). 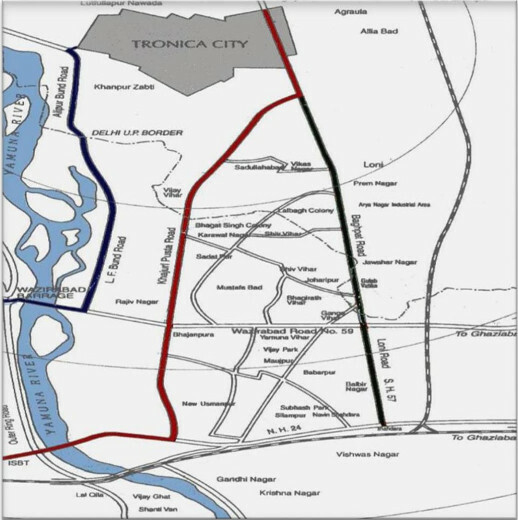 The upcoming Dadri station of WDFC and Khurja station of EDFC will facilitate rail freight transfer and the industrial corridor being developed in the region, will be a major attraction for all the industries setting up their units in Tronica. Availability of skilled manpower due to close proximity of quality educational institutions and colleges (IMT Ghaziabad, Delhi University). 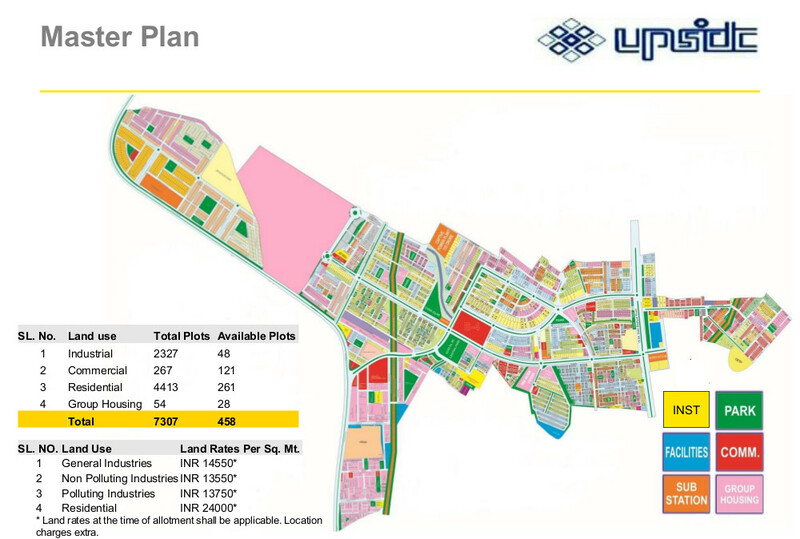 More than 2100 industrial units and more than 4000 residential plots have been allotted by UPSIDC. More than 300 flats constructed in modern multi- storied residential buildings by private developers under the Group Housing category. Close proximity to the CONCOR depot at Dadri for convenient freight transfer. Garments dying, bleaching and printing in the earmarked polluting zones. Garments sewing, embroidery and knitting in the earmarked non-polluting zones. TDS city also has the presence of a number on General Industries like footwear manufacturing, water packaging and so on. Two types of residential zones like Group Housing and plots are available. More than 4400 residential plots have been planned from 100 Sq. Mt. to 350 Sq. Mt. in size, out of which around 250 are open for allotment. Aims to be a self-sustained city with commercial establishments such as shopping complexes, malls, theatre, multiplexes, restaurants, auto showrooms, hotels and other commercial establishments. As an integrated township the focus is on encouraging various educational institutions such as schools and colleges. Two well known schools have constructed their branches in TDS city. Apparel training centre and special ITI can be established for leveraging the knitting and woollen industry. Located 2 km from Delhi border. Lies on Delhi Saharanpur state highway (SH 57). 6 km from upcoming Eastern Peripheral Expressway (encircling Delhi). 12 km from Kashmere Gate bus terminal. 12 km from Shahdara Metro Station on red line of Delhi Metro. 6 km from upcoming Shiv Vihar Metro Station of Delhi Metro. 45 km from Delhi International Airport. 6 km from Loni Railway Station. About 50 km from Dadri, upcoming Western Dedicated Freight Corridor (WDFC) station. About 120 km from Khurja, upcoming Eastern Dedicated Freight Corridor (EDFC) station.